It's impossible to eliminate all of the risks that come with running solo, but there are precautions women can take for a safer and more enjoyable workout. I used to like to run by myself in the evening, away from the busy streets and bright lights. Then, one night I was followed by a group of men. Fortunately I made it home unscathed, but my appetite for solo jogs was spoiled after that. I guess it was the last straw. I was already exhausted by the aggressive male behavior I had to endure: catcalling, heckling and lewd propositioning. These disturbing incidents were random, uncontrollable and at times terrifying. I’ve known so many women who can relate, and now I know even more after researching this article. None of these women succumb to fear. They recognize that they can’t control what others do, that there’s no such thing as “asking for it”, and that you can take all the safety precautions in the world and still end up a victim. But they don’t give up what they love, an attitude that inspires me to get my sneakers back on and go for it, with some handy tips in mind. 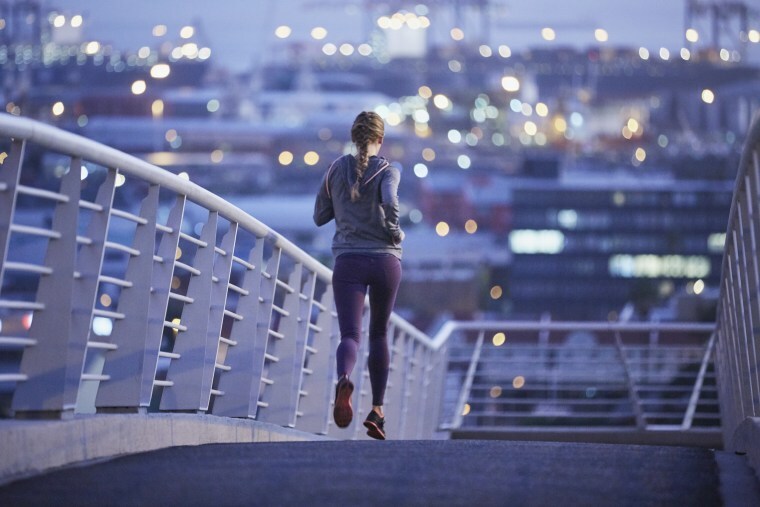 Part of what helps women runners stay confident is taking safety precautions. This doesn’t mean they’re guaranteeing their safety (that’s not possible), or that anyone who has been hurt or worse while running could have been spared had they taken more precautions (that’s victim-blaming). What it does mean is that they’re having better, less stressful workouts by practicing risk-aversion. Lauren Crain, a woman runner, has a firm policy around this. If you’re new to an area, and not sure where to run, Tina Willis, a personal injury attorney and avid distance runner for nearly 20 years, recommends asking neighbors and even dropping by your local police station to learn what trails local officers recommend. Also, given her expertise in personal injury law, Willis stresses to not forget about another serious threat to all runners: drivers. “I cannot overstate the importance of staying off road shoulders, especially really narrow or non-existent ones,” she says. So, choose an area populated by people, not cars. Maruka also keeps her keys in her hand as a ready weapon, while many other women (myself included when I’m walking the dogs alone at night) carry pepper spray or another weapon. Dugar’s reasoning is mainly that your weapons can actually be used against you by an attacker. Moreover, she points out, pepper spray expires, so if you are trained to use it, and confident doing so, make sure it’s not past date. Susan MacTavish Best the founder and CEO of Living MacTavish, carries a large stone in one hand. Jen McMahon, a certified integrative nutrition health coach, certified personal trainer and running coach, also makes a habit of letting people she trusts know when and where she’s running. “Create a check-in system with a buddy so they know you made it home safely,” she suggests. “If you are ever attacked while running, use your powerful voice. Shout, yell, curse and do whatever you can to momentarily shock your attacker into changing their mind,” says Jennifer Cassetta, a clinical nutritionist, personal trainer and self defense expert who founded Stilettos and Self Defense. If grabbed or pulled or attempted to [be thrown] to the ground, drop your center of gravity to help keep your balance. Get in a wider than normal stance so you won't be knocked down easily. Then acquire and fire: Acquire the most effective soft targets (on a male attacker) and fire away. Those three targets are: eyes, throat and groin. Jab fingers into the eyes. Punch straight to the throat to disrupt breathing. Punch or knee the groin in hopes to loosen up a grab or hold on you. Keep firing away until you have a moment to possibly escape. All the while, be sure to try and dodge or block any blows coming to your head and face. If thrown to the ground, try to remember that the tools you have standing are the same ones you have on the ground and you can still fight back. Keep firing away with your hands, fists, and kick with your legs. You can use your hips to throw an attacker off of you. Some of us just really like to run at night, but as Dugar pointed out, women are vulnerable to predators, and they are most vulnerable at night when alone. Running in a group is the easiest way to handle this, but why not take it a step further by joining or forming a local movement that is determined to empower women and involve men through conversation and action. You may be able to turn to your workplace to get things off the ground. “My co-workers and I decided to start a movement, called Despite the Dark, where we shed light on the safety issues women face when they run, specifically at night,” says Rachel Colonna, a creative studio designer and a founding member of the Despite the Dark team, who found that women co-workers were feeling more afraid of running after recent events such as the murders of runners Wendy Martinez and Mollie Tibbets, respectively.